In honor of the 26th Birthday of the Game Boy System, we take a look at 25 facts about the game system that could fit in your pocket and would take the gaming world by storm in 1989. The Game Boy might be older then most of the people that originally played it, but that doesn’t mean it doesn’t have a very special place in the memories of our childhood. May 21 was Game Boy’s 26th Anniversary. The original game boy did not have a backlight, forcing players to play in well-lit rooms. A little attachable light was later sold as a peripheral for newer versions of the Game Boy. The Game Boy was the second handheld system released by Nintendo. The Game and Watch were released in 1980 and the Game Boy was released in 1989. Titles that are in the system’s library of almost 700 games include CastleVania, Metroid 2, Mega Man, and the first ever Metal Gear Solid game on a Nintendo system, Ghost Babel. The Game Boy Library, including the Game Boy, Game Boy Pocket and Game Boy Advance, has a total of over 1,000 games. The Game Boy has appeared in multiple episodes of The Simpson’s, including, “In Marge We Trust,” where the sea caption retrieves It and later tries to sell the iconic system. The Game Boy usually belonged to Bart Simpson, helping make the system just that much more cool! The Game Boy has had several revisions to its original design over the years, including The Play It Loud Design, where colored casings were used, the Game Boy Pocket, which was smaller then the original and required less batteries and the Game Boy Light, which was exclusively sold in Japan. The light featured a backlight in the screen that allowed gamers to play in low light conditions. The Game Boy sold almost 120 million copies before being discontinued in the year 2000. 189.55 million units to be exact. That’s more then Atari Lynx and Sega Genesis combined. The Game Boy had six launch titles, including, Super Mario World, AlleyWay, Baseball, Tennis, Tetris and Yakuman. Super Mario World Tennis and AlleyWay were the only three titles to be released in The U.S, Japan and Europe. Yakuman was the only game sold exclusively in Japan. The original Game Boy could run for 30 hours on two AA batteries. This, and the fact that the system only used four shades of grey as screen color, made the handheld more convenient and easy to own then Sega Game Gear and Atari Lynx. This was mostly due to the Game Boy’s colorless screen and no backlight. So the next time your complaining that you couldn’t see the Game Boy screen in low level conditions, just be happy that it didn’t take a massive amount of batteries to play! The Game Boy and The NES had the same button design. This is said to be so gamers would be able to instantly pick up the Game Boy and know how to play it. This also allowed Nintendo to get past the design phase a lot faster. Having never owned a NES myself, this rule didn’t apply to me. The Game Boy was sold in Japan for around 12,500 yen and instantly sold out of all of its 300,000 initial units. The handheld was sold alongside a bizarre edition of Mario, which featured the plumber saving Princess Daisy from an alien named Tatanga. Nintendo should really bring this storyline back in some way, shape, or form to deviate from Mario’s usual storyline. You can only save the princess from Bowser so many times before it just gets monotonous! 35 million copies were sold of a bundle including the Game Boy and the addicting puzzle game Tetris in 1989. Bandai Namco released a gaming peripheral called the Game Boy Pocket Sonar. The item allowed gamers to search for fish in the game using Sonar. The peripheral also included a fishing mini-game to go along with it. Could you imagine trying to fish with that thing? The Game Boy came out with a special edition Pokémon design known as The Pikachu edition. The system came bundled with the Pokémon Yellow game, featuring Ash Ketchum’s first-ever pokemon, Pikachu. 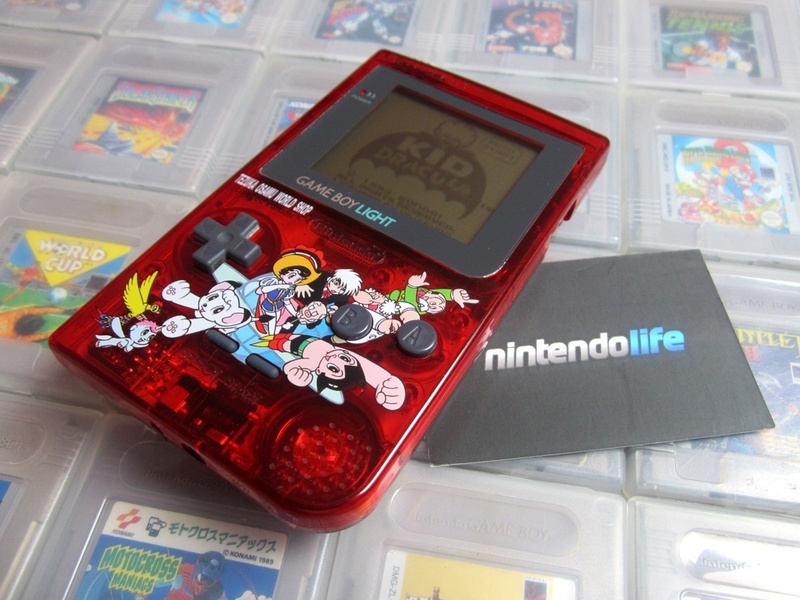 The Game Boy also featured a little Togapi for the battery display. The Game Boy is said to have inspired the BMO gadget in Cartoon Network’s Adventure Time Series. What's Awesome: The rarest design of The Game Boy is the Tezuka Osamu Workshop, which was only sold in Japan. What makes the design more rare is that it is said to be the original artwork of Tezuka Osamu. 9 Almost half of Game Boy fans were female! What's Awesome: In 1995 Nintendo announced that 45% percent of its gamers were female, marking the first time that a gaming system had such popularity with the female audience. According to a study in 2014, 52% of gamers are now female according to a recent poll. 8 The original Game Boy was many times faster than the original Nintendo! What's Awesome: The original Game Boy was 2.3x faster then The NES and had four times as much RAM. Wow! For a small handheld system, the Game Boy sure packed a powerful punch! 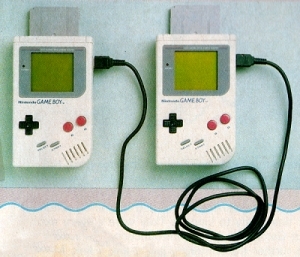 What's Awesome: The link cables for the Game Boy inspired Satoshi Tajirri to create the Pokémon Series. He did this by combining the idea of creatures running through the cables and his love for bug catching as a small child. 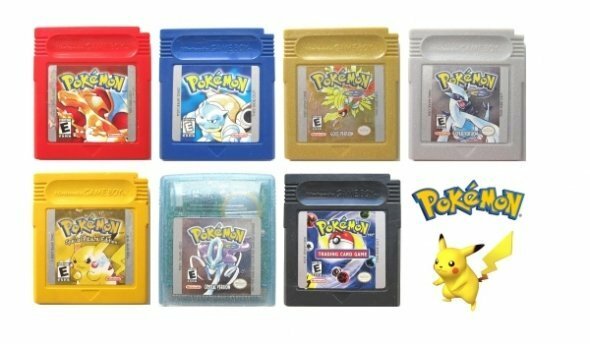 Pokémon Red, Blue and Green. Pokémon Green never saw a release outside of Japan due to low sprite (image) quality for the characters and Pokémon. What's Awesome: Nintendo released the Game Boy Digital Camera and a small Thermal printer, which allowed gamers to take low resolution pictures of themselves and eventually the Pokémon they have captured as well. Growing up, I never had a chance to buy the printer, which made me furious, because my Pikachu was so cute! 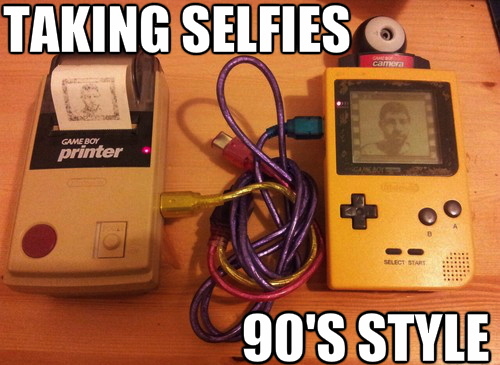 Game Boy also helped introduce the selfie craze. I guess this is considered the dark side of the Game Boy's history. 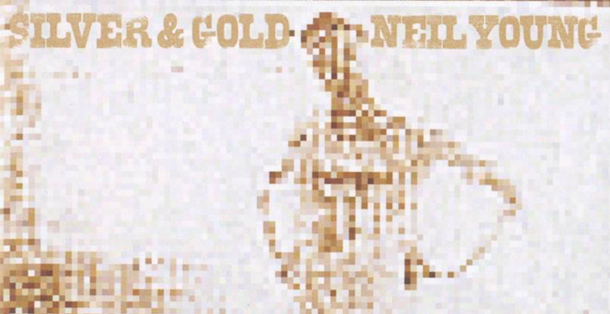 What's Awesome: Neil Young actually used the camera and printer on the Game Boy to create his art work for the album, Silver and Gold. Meaning that the Game Boy is not only a part of gaming history, but the history of country music as well. What's Awesome: Nintendo released a extra adapter for the Game Boy, that allowed up to four people to play multiplayer games. Games that were compatible with the adapter were the F-1 race and Yoshi's cookie. Four players at once sounds super futuristic for 90's, doesn't it? What's Awesome: The game, Faceball 2000 was compatible with a set of adapters that allowed up to 16 people to take part in multiplayer action. Can you even imagine 16 people huddling together in a school yard and playing this game together? How did all those players fit on such a small screen? 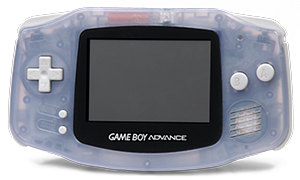 What's Awesome: The Game Boy Advance was released in 2001 and sold over 99 million units. 81 million more then the original Game Boy. 1 The Russians took the Game Boy to space! What's Awesome: Aleksandr A. Serebrov took his Game Boy to space in 1993 during the TM-17 space mission. 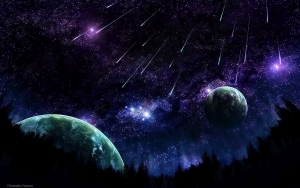 His Game Boy is said to have orbited the earth 3000 times and was later sold in a space memorabilia auction for $1,220. What are your fondest memories of the Original Game Boy? Do you still own your childhood Gameboy even today? Will you pass it on to your children if you do? Let us know in the comments below.! I have a Advance S2 spongebob yellow and serval games also a gray Advance S2. I think it’s games has helped me use one eye because I am blind in the right eye. My grandkids would play the spongebob because of the show, they love the Mario games and this is when they were just little kids. I believed I bought them in 2002 or 3. I even bought a case to protect the Gameboy. Keep up the good work on reporting on old style games…by the way I am a 65 year young kid. what about the game boy advance sp? was just wondering. I still have my sons game boy. It also has an outfit that clips on your belt that hold batteries for it. Cool, it’s probably worth a lot. Or maybe not. It may be some time before it becomes a very valuable collector item. If you can save it until it is the last unopened one on Earth, then it may be worth a whole lot. But you may be waiting a long long time. I have a Game boy micro that still works beautifully. This was a great product. Diamonds are not forever. They are also one of the most abundant stones on Earth.